Can be applicable for gas, induction, ceramic, electric cooker,nonstick;energy-conservation;Healthy;less smoke. 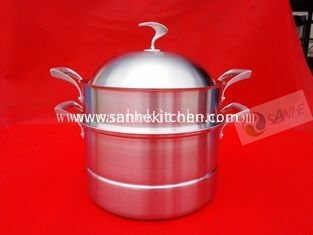 Heat conducting layer: 430 S/S, can conduct heat rapidly around whole cookware. 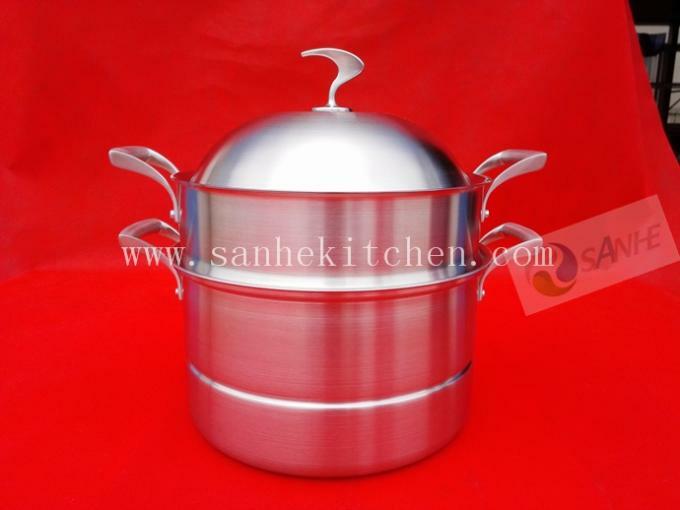 Heat energy saving layer: pure aluminum, heat buffer zone, can conduct heat to whole cookware evenly, make the temperature steady. 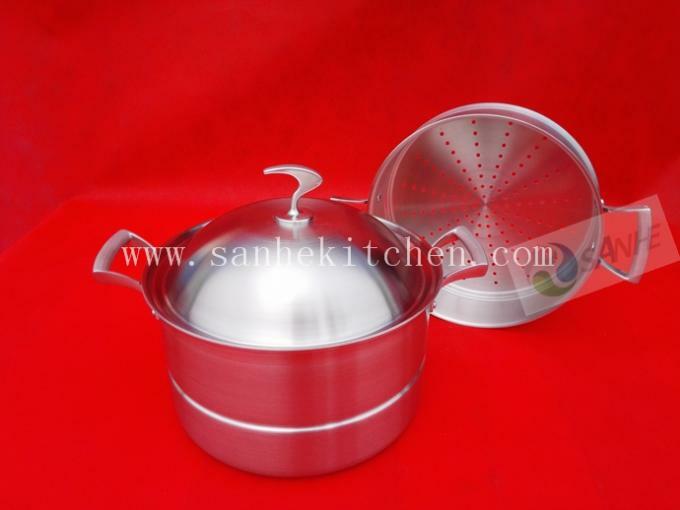 Heated layer: 304 S/S,high sufurce density can avoid cookware absorbing more oil, good acid and alkali resistance.